On this cool, dreary, cloudy October 4, a day more akin to November, it’s warm, bright and sunny in Cubdom. The guys with this emblem on their jerseys will play in the post season. Bu for how long? Yes, it’s the last day of the Major League baseball regular season, and my Chicago Cubs — actually everyone’s Chicago Cubs — will be playing a meaningful game later this week. Counting the hours, no minutes, until the first pitch Wednesday, against the very dangerous and talented Pittsburgh Pirates at PNC Park, where my Chicago Cubs will be playing a wild card, single elimination game in order to advance to the National League playoffs. Well, let’s check that: Last night’s shutout win added more thrills to the 2015 season; the Cubs may host the Pirates at Wrigley Field with a win today. 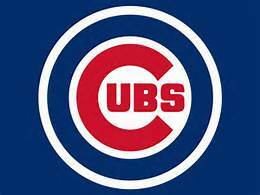 As a lifelong and long-suffering Cubs fan, of course I’m thrilled my Chicago Cubs are in the post season. And, while I won’t make a prediction, I will share these thoughts. 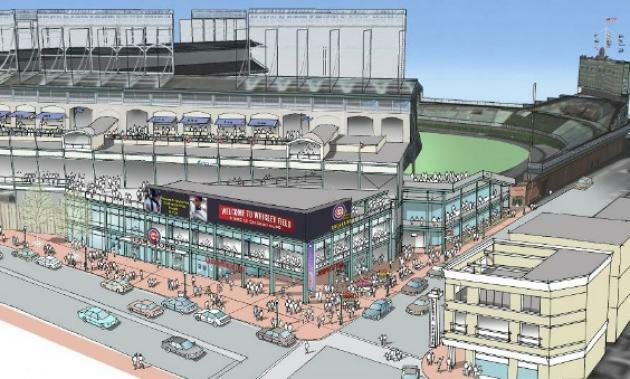 Later today, we’ll know if the Cubs will play the October 7 Wild Card game at Wrigley Field. On the Field Headlines Are Best. Throughout this glorious season, one where the Cubs provided tremendous baseball drama, that drama was confined to the field of play. I can’t recall news reports of Cub players or management making headlines for what took place off the field. (Well, unless you count the litigation with the property owners on Waveland and Sheffield avenues.) In short, skipper Joe Madden and his boys behaved themselves, keeping the focus on baseball and not antics that could get them in trouble. Treating Baseball as It Should Be: A Game. Years ago I read an article that included a line that stated: “The umpire yells ‘Play Ball’ at the start of a game, not ‘Work Ball. '” My 2015 Chicago Cubs know how to enjoy the game of baseball, but they do so in a workmanlike way. Scenes in the dugout show a team that’s relaxed but focused, and seemingly unaffected by a bad loss or bad call from umps. These guys are having fun, which much of the time leads to winning. Little Things Lead to Big Wins. Visit this page from Major League Baseball for official stats. But some casual observations of my Cubs reveal a team that rarely got beat when failing to execute fundamentals: Hitting the cutoff man, hitting behind the runner, laying down the bunt, putting the ball in play, turning the easy double play. These little things have paid big dividends for the 2015 squad, setting them apart from many, many Cub squads of past seasons. My Cubs today have as many wins this year as they had losses in seasons not too long ago. In around an hour from now, they’ll take the field for their final regular season game against the Brewers in Milwaukee. It means something, because the Cubs may get home-field advantage and host the Wild Card game. Regardless of where the game is held, after the ump yells “Play Ball,” I’ll be watching, waiting and hoping. In 2014, I offered to buy a (small) piece of the Cubs. The team’s “public relations push” was analyzed in 2013. A reflection from 2010 on Cub legend Ron Santo. The PRDude’s unsolicited public relations counsel to the Cubs organization. This entry was posted in Uncategorized and tagged baseball, baseball 2015 wild card, baseball post season, Chicago Cubs, Cubdom, Cubs in post season, Joe Madden, Major League Baseball, Pittsburgh Pirates. Bookmark the permalink.